Lets face it, when you are looking for a great cooperative romp on a console, Minecraft: Xbox 360 Edition comes up often in conversation. It is fun, accessible, addictive, and is constantly being supported by great updates. Minecraft: Xbox 360 Edition has been out for almost a year, and it looks like there will be a retail disc release for the game on April 30. The game will be released at retail for $19.99. It will come with all of the features and content that the latest version of Minecraft: Xbox 360 Edition contains. This will include the upcoming title update number nine. Cooperative play will integrate seamlessly between players who have the retail disc and those who own the game digitally. Both physical and digital games will also continue to receive updates over time. 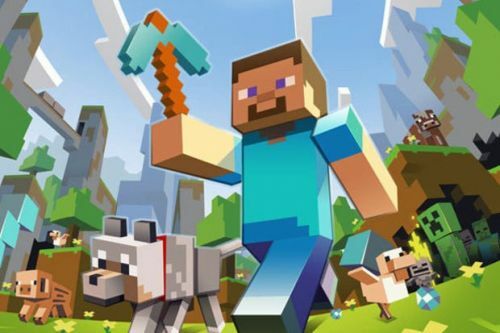 Minecraft is a very fun game, and if you don't already own it for the Xbox 360, or you want the game in physical form for your collection, grab it at the end of April. Minecraft: Xbox 360 Edition comes with the ability to play four player local co-op, and supports up to eight players online. Page created in 0.5583 seconds.